The reports you need to manage your pipeline, forecast more accurately and tailor your coaching to each salesperson’s performance. 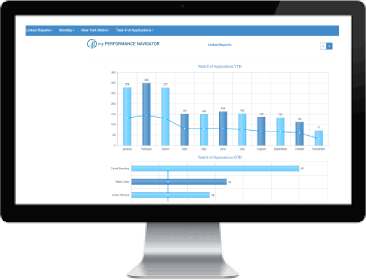 my Performance Navigator is a cloud-based system (SaaS) that pulls data from any CRM system, core processor, loan origination system, HR system, incentive system and completely automates your sales reports, call reports, pipeline reports, scorecards, executive dashboards and sales analytics (trending, stack ranking, charts, etc.). It is designed for sales executives and frontline sales people in retail, commercial, small business, credit, risk, wealth management, private banking, treasury management and insurance. When everyone in the organization has the information they need to be successful, amazing things happen. 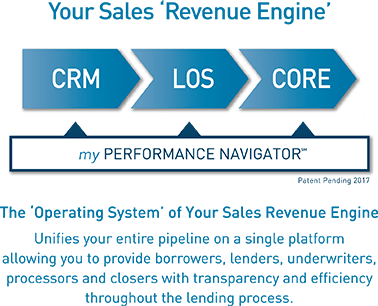 my Performance Navigator works with all Fiserv, D+H, Jack Henry and FIS systems including core processors, CRM systems, loan origination systems and data warehouses. It also works with all agency management systems, and wealth management systems. With a single click, or tap of your finger on a mobile device, users can drill down into the organization, change the time frame or move between reports, scorecards, dashboards and analytics. Designed to improve coaching, forecasting and pipeline management. No software to purchase and installs quickly. Sales, marketing, credit and finance can finally speak a common language. 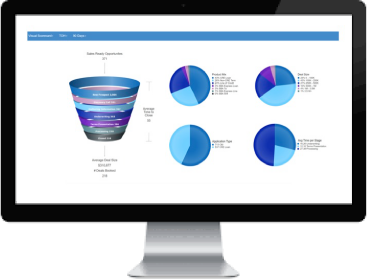 Reports and dashboards enable teams to make data-informed decisions regarding everything from marketing leads, prospecting, underwriting, pipeline management and customer relationship management. Sales managers are tired of waiting months and years for sales reports. They are tired of spending precious resources to pull data from multiple sources and bulding spreadsheets that never get used. We understand that so we fixed it with my Performance Navigator. Anywhere Access – my Performance Navigator works on your desktop, laptop or mobile device. 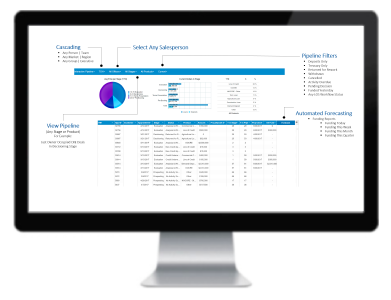 One Source of The Truth – my Performance Navigator brings all your important sales data together in one place. Smarter Employees – When everyone in the organization has the information they need to be successful, amazing things happen. Eliminate Noise – There is a lot of data noise from many different sources with varying degrees of accuracy and importance. my Performance Navigator focuses the entire organization on the metrics that matter. Track each team, market and region’s contribution tot he organizations goals in an at-a-glance executive dashboard. 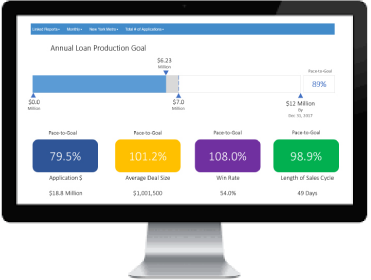 With interactive reports, you can visualize your challenges, goals, and priorities. One (cascaded and aligned) set of reports keeps leadership aligned with each level of the organization. Demonstrate your firm grasp on sales performance to your executive team and board of directors. Respond to questions with certainty. When everyone is pulling the Metrics That Matter from one source of data, they can focus on what’s important instead of who’s right. 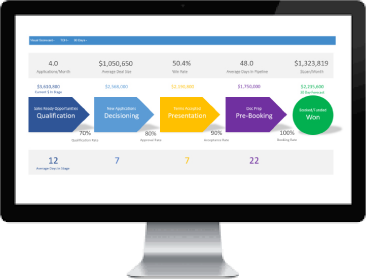 my Performance Navigator is a coaching solution that enables faster, more informed coaching decisions, is integrated with our Performance Model and training, and has the tools to support Result CoachingSM, Quarterly Action Plans, and Weekly Check-Ins. You need to know not only what’s in your pipeline today, but also when and why it changed. With my Performance Navigator, you will know in a single glance which deals are at risk and which are about to close. Visually review the history and aging of all pipeline opportunities and how they are being worked. Review the status of your pipeline and eliminate unnecessary calls to underwiritng. Use the updated status (active, inactive, advancing, declined, stalled, pending more information, booked) to improve pipeline management and forecasting. Improve your win rates and conversion rates by immediately knowing when a deal becomes stalled or inactive. 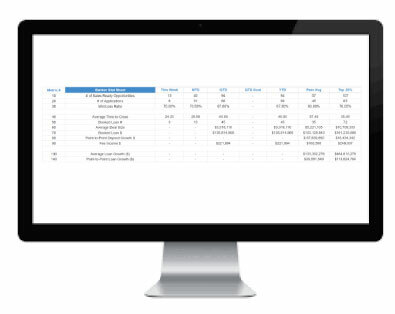 Understand each stage of the pipeline with accurate time-in-stage and stage conversion rates. Assess the risk factors and constraints that jeopardize your pipeline (value, aging, and time-in-stage).